both in urban and rural settings. Source it from Tech-Ware Store and we will shipdirect from Taiwan @ Best-Price, Strong Support via Hotware Integration Center and see how great an investment it would be! True outdoor unit, solid and weather-proof, operating at -35c ~ 70c (-95f ~158f). 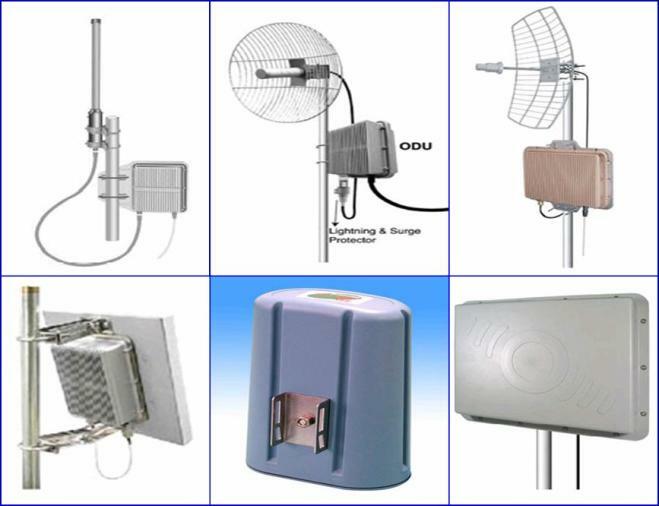 X-Lin Long-Range Wireless LAN are designed to be robust, resilient, reliable, secure and weatherproof. As"true-outdoor" unit (as oppose to indoor fitted with outdoor antenna), both radio unit and antenna are installed outdoors utilizing Power-over-Ethernet (POE note: power is feed via CAT 5 cable) thus resulting in minimal gain loss because of their shorter antenna cables. Depending on the radiated power(250mW to 1 watt to 4 watts) and antenna-type (Omni, Flat-Panel, Yagi, Parabolic and Dish) range can reach from 9km to 60km long enough to reach remote areas. Ideal also for municipal wireless internet deployment or expanding LAN networks. Data transmission speed varies though withup to 11Mbps max for 802.11b model with auto-fallback going 5.5 or 2Mbps sacrificing speed/throughput in favor of reliable transmission and up to 54Mbps and 108Mbps (in turbo-mode) for some 802.11g/a model also with auto-fallback. X-lin Long-Range Wireless LAN on bridge and point-to-point mode can reach as much as 60Km transmission distance in open terrain (line-of-sight). Truly, a cost-effective solution for rural internet access. Tech-Ware-Store is a collaboration between Hotware Wireless Int'l Ltd , Wireless IT Solutions Maker from Taiwan and Tech-Ware-Store to answer all requirements for a true-outdoor, long-range wireless broadband communication solution.